I’ve been planning a nice post for today that would include a round-up of all of the Christmas treats I’ve posted this month… but as it turns out my computer is sickly and I can’t create the post I had in mind. I had also committed to myself (and my family) several weeks ago that today would be my only post of the week and that I’d unplug myself from the computer for the rest of the week. As it turns out, I guess I’ll have no choice, as the computer will probably be at the repair shop! 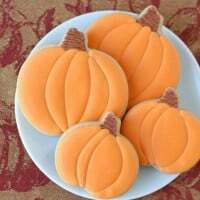 Please feel free to look though my recipes, cookie decorating and cupcake decorating links (on the top right sidebar) or the “labels” links (farther down on the right sidebar) and you will be able to find lots of great ideas for pretty treats. Before I go (I’ve already had to start this post 3 times due to my computer acting up! ), I do truly want to thank each of you who are reading this! When I started this blog in March of this year, I had plans and goals for the year, many which have been met and many which have far surpassed my expectations! I deeply appreciate the friends who have helped spread the word about Glorious Treats, linked to my work, commented on posts or sent e-mails of encouragement! I am a wife and a mom above most everything, but this blog has been a wonderful creative outlet, and such a blessing in many ways! I am so excited to be able to continue this journey of baking, crafting, and party planning in the new year and sharing it with each of you. I’ll sign off for today as I plan to spend the next few days gift wrapping, baking, and enjoying a few special Christmas get together’s with family and friends. Merry Christmas from the bottom of my heart! Merry Christmas to you and your family. I really enjoy reading your blog and seeing the wonderful things you create. Merry Christmas Glory! Enjoy your "away" time! Merry Christmas Glory! I hope you have a lovely holiday with your family. 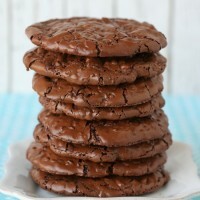 I keep coming back to your site to admire your cookies – they are really amazing! Congratulations on your success! And a very Merry CHRISTmas to you, too! Merry Christmas to you too! I just found your blog…and already made sugar cookies to match your vintage pink and blue trees and snowflakes. I'm attempting the royal icing snowflakes for the cupcakes I'll be baking for Christmas festivities. LOVE all of your ideas and thanks so much for being an inspiration to us all! Merry Christmas! Not only have you been blessed, your followers have been blessed by your giving. 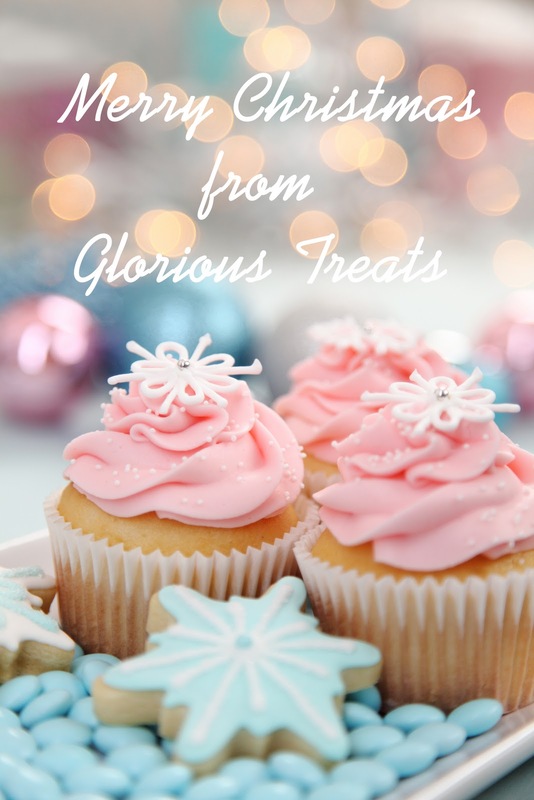 Many of our Christmas treats will bear your influence from the awesome recipes that you have shared. Personally, I am excitedly on edge about decorating cookies since you posted the Christmas themed cookies. Merry Christmas Glory, I Hope you enjoy your week "unplugged" w/ family and friends. It has been fun to watch you grow over the past year (or two)! Thanks for always sharing w/ us<3. Have a wonderful week of preparations. Cherish the time with your family. Thanks for sharing all you do here on your blog! I just found your really superb blog! I am fascinated by all those nice looking cookies, cupcakes etc. that you made! Your party tables are decorated so accurately. Unbelievable! I can imagine that you create such a great atmosphere for those parties! Merry Christmas to you and your family and have a happy new year! I will definetely follow your blog, so see you next year! Merry Christmas! I just discovered your blog recently, but looking forward to the New Year and new posts! Merry Christmas to you and yours too. I found your blog a while back, have told several others about it and . . keep up the wonderful work. See you in the new year. Merry Christmas to you and your family!!! Thank you so much for sharing all your wonderful creations. I'm looking forward to more wonderful posts in the new year. Merry Christmas honey, to you and your gorgeous family. See you in 2011, where I am sure even more wonderful opportunities and experiences await. Merry Christmas to you too! I'd just like to say that I really admire your attention to detail and decorating expertise. You've helped me a lot, particularly with "Royal Icing"
I had no idea your blog was so new. Got any tips for a newbie starting out? Would love to know…I have a small following but would love to expand. My last post was last night…I too will unplug and get ready for the big weekend. So much to do and so little time. Have a blessed Christmas and thanks for all your inspiration. Merry Christmas my dear friend. Merry Christmas to you and your family! I'm a new blogger as of this year, as well, but I see I have a lot I can learn from you, especially in terms of photography! Your images are always amazing. Happy Holidays to you and your family! 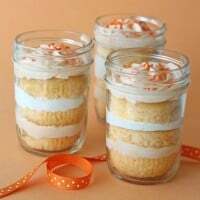 Thank you for all the sweet treats you post here, for all the recipes and mostly for the delicate way of showing us that we can do pretty things with few. 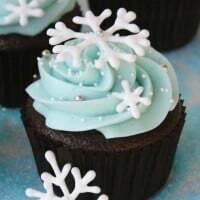 Thanks to you I started to decorate cakes with gum paste and made my first cupcakes. Just for fun! Glory, Merry Christmas and Glorious New Year! You are such a talented lady. Thank you so much for sharing your lovely work and ideas with the rest of the world. Hope your christmas was filled with love, and look forward to more of your lovely posts in the new year.